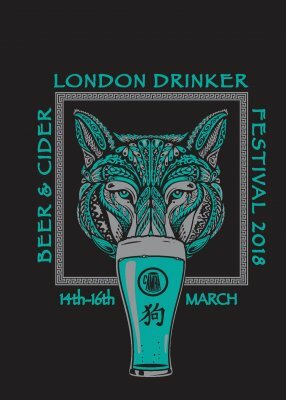 The news that 2018’s event will be the last ever London Drinker Beer Festival, marks the end of an era, although I think I’m right in saying it wasn’t totally unexpected. The Camden Centre was rather dated and was never my favourite venue for a beer festival; although I can see its attractions – central location, catering facilities etc. I understand the building had been earmarked for re-development for some years. I can also fully understand the desire of the festival organisers to stand down. Having been involved in organising a number of such events, in the past, I know only too well the dedication and sheer amount of hard work these people put in to ensure the beer festival is a success. London Drinker’s disappearance will leave a large hole in the beer festival calendar. I wonder what, if anything, will pop up to take its place. Yes, the hall nearly closed some years ago, as I recall. I have similar feelings to yours about the venue - although I always found it fine up before about 6pm, when the volume and crowding ramped up. Perhaps the definite closure will inspire someone else to come forward and organise a successor, in just the way that an organiser saying they'd like to step down usually *doesn't*. Sometimes you need a clean break or a hard stop in order to force change.